Camping in the boat yard! This is where we spent last night, and where we'll likely be spending a few more nights (along with dollars, yes, we'll also be spending dollars). It's been pouring rain and super windy for two days now and that's supposed to continue through the weekend. Dean here at the boatyard gave us some just-caught halibut last night that we pan seared for a late dinner and served with some wilted spinach, roasted baby potatoes and a glass of wine. It was pretty great, all things considered. 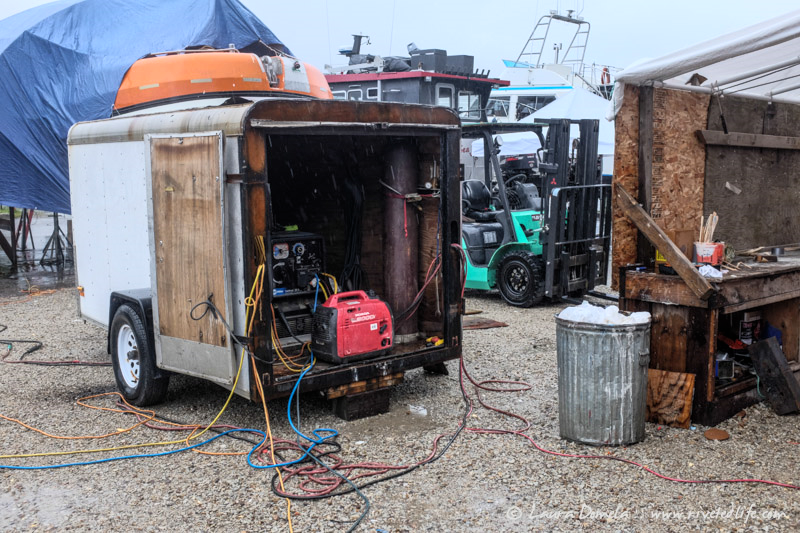 We got to plug into power this morning (the big generator in this trailer) to charge up our batteries and laptops and stuff, and we're working from the boat (in the lift, soon to be blocked up). 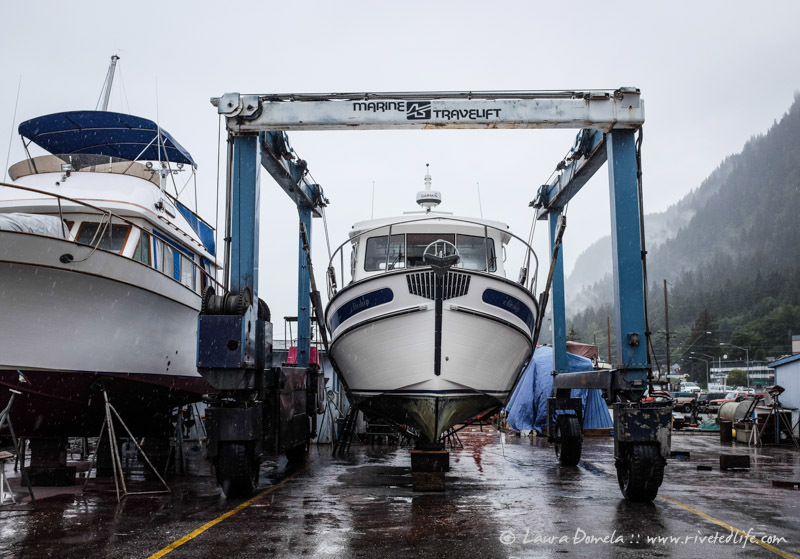 Steve at Nordic Tug Charters said we could use his shower and his van if we needed, and we're working with Dean to remedy the current state of things.